I want to start this article by taking another look at the latest H&M campaign marking the launch of their Autumn/Winter 2016 collection. In this ad, H&M portrays women in a way they are not often seen in advertising, especially fashion advertising: a richly diverse group of individuals, personalities, identities, ages, shapes, and sizes. It’s clearly H&M’s effort to acknowledge the multitude of ways that real women look, dress, behave, and interact with society. I think it’s great that a brand like this is finally showing more diverse and real people in their ads. However, it amazes me that this was celebrated all over the media as if it was a brave thing to do when actually, a brand representing the diversity of their audience should absolutely be the norm. It feels a bit like when brands started to talk about being green and sustainable as an added value, a USP or something special to have. Today, it’s universally expected that all organizations in any sector have sustainability not only as a marketing proposition, but as a core part of their business strategy and identity. H&M’s campaign gives me hope that we’re heading in the right direction when it comes to diversity and that sooner, rather than later, most brands will develop more inclusive, less stereotyped campaigns. However, in this journey I think brands need to be mindful of not getting caught up in advertising trends simply as a token or a gimmick, and instead be sure to do something that is authentic to their brand and that actually resonates with its purpose — and therefore, its audience. How do brands make sure they do something authentic to themselves, but stay relevant to broader cultural trends and expectations? Brands operate within their audience’s cultural context. This context has its own values, ideologies, symbols, meanings, and recognized makers and influencers. It also has cultural tensions and contradictions. More and more, whether they’re aware of it or not, people demand that brands acknowledge and contribute to this cultural context. It’s about brands playing a proactive role, confidently taking a stand, and doing so while being accountable for the images and messages they put out there. Brands that ignore this wider cultural context risk to be heavily criticised and punished on social media. Take last year’s Protein World’s example. 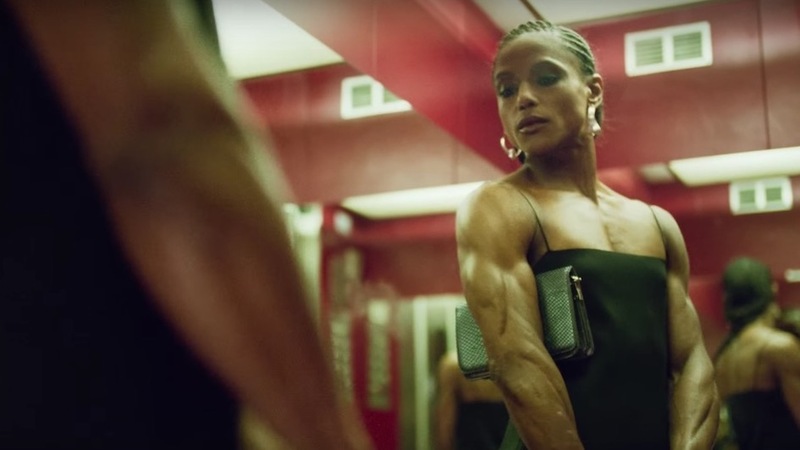 In a time of female empowerment, redefinition of beauty and standing up against objectifying the female body, Protein World launched their “Beach Body Ready” campaign. The result: a huge social media backlash and eventual campaign ban in the UK. Being provocative is one thing, but undermining and even attacking the cultural context that you’re a part of is nothing short of brand-suicide. To avoid this, brands first need to acknowledge and understand the cultural context of their audience: their values, ideologies, influencers, and cultural tensions. Secondly, develop a value proposition that steps away from product features and benefits, and instead develop a narrative and positioning that acknowledges and contributes to the culture, or perhaps even resolves specific cultural tensions. In other words, stand up for something that people consider meaningful and which is also aligned to the brand’s essence. Only then will brands be able to produce creative campaigns that are more culturally relevant: connecting with influencers and leaders, leveraging cultural values and ideologies, and making an actual contribution to the audience’s culture. Women’s empowerment has been a tension many brands have responded to in recent years. Always addressed this tension by empowering girls and women with the campaign #LikeAGirl. The Sport England campaign ‘This Girl Can“ and Under Armour’s “I Will What I Want“ have also started redefining the role of women in sports to one of strength and empowerment. Gender diversity is another cultural tension brands are recently responding to by acknowledging how their audience, especially the younger generation, often no longer identify with binary genders (male and female) and don’t feel defined by gender the way older generations used to. Covergirl took a stand in this area by signing their first male ambassador. By doing so, they are recognizing that not only people who identify as female use make-up. They have started stepping away from targeting their audience based on gender to targeting people on style and preferences instead. Facebook’s choice of 71 different gender options and the ability for users to choose the pronoun they’d like to be referred to publicly, e.g. he/his/she/her/they/their, is also a sign of this extremely relevant cultural shift. If the new and existing generation of Facebook users have this level of awareness into gender roles, they will expect the brands they interact with to have the same. Gender roles and global tensions are not the only way to create cultural relevance. There are other ways to acknowledge and contribute to a specific cultural context. Guinness achieved cultural relevance with their Made of Black campaign for the African market. They achieved this through a thorough immersion into the different cultures of several African countries to understand the younger audience there. They avoided falling into cultural stereotyping by connecting and collaborating with other players such as MTV, Vice, local artists, influencers, and creators to gain genuine cultural insight and resonance. In doing so, Guinness managed to connect with the young African audience, allowing them to feel catered for and to feel a sense of identification with and ownership of the brand. The new Scottish luxury brand Urban Reivers is doing its part by celebrating Scottish culture. They collaborate with local creatives to develop their products and use colloquial language like “reek,” “swally,” and “bide” to describe their perfume, home, accessories, and cocktails collections. This not only gives the brand a local relevance, it also gives the brand a sense of meaning and identity that attracts an audience outside of these cultural nuances who are looking for an authentic brand. All of these examples demonstrate how brands have created cultural relevance in a way that is authentic to the brand essence without shoehorning in a particular value or ideology that might not be right for the brand — or worse, is just a token attempt to align with what other brands are doing. In doing so they are successfully reflecting the reality of who their audience is. The challenge of connecting to the culture of your audience means that these are exciting times to be in this industry. I look forward to seeing how other brands manage to remain culturally relevant in these shifting and changing times. Jazmin is a creative strategist at Clinic. With experience on both the account management and creative side of agency life, Jazmin’s strategic insights and development skills have seen her work successfully in sectors ranging from technology to perfumery. As her name suggests, she’s seen the world.